A year is way too long to go without posting but here I am, back again. For 2014 I’ve committed to doing one project a week and share it on my Pinterest board 52 weeks. I’ve forced Mom to join me mostly so we can look back and see all that we accomplished this year. Of course, knitting has been my primary focus. So far I’ve been working from other peoples patterns but this week I’ve developed a new pattern of my own and I love it so much I have to share it. Anyone familiar with my blog (all three of you) knows that I have a thing for wanting knits that I see but somehow have no pattern available. This latest came from a pin of a fashion spread. Time to count stitches and work out a pattern! Obviously I don’t want to be a complete knit plagiarizer (is that a thing?) so I’ve made a few changes. t2rp: This is for a 2 stitch cable purling the second stitch. Knit second stitch leaving it on the needle, purl the first stitch then pull both stitches off. t2lp: Purl second stitch through the back loop, knit first stitch then pull both stitches off. 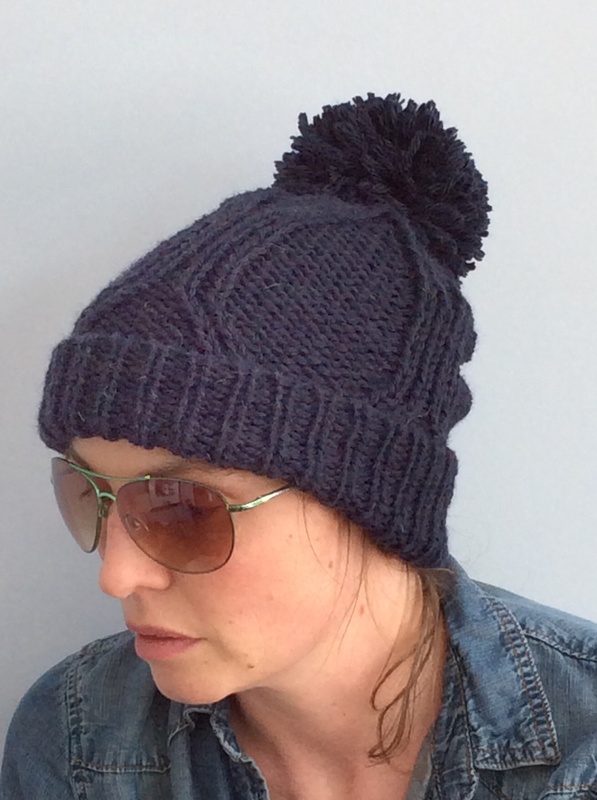 Hat Brim: Using the size 7 circular needles, cast on 64 stitches and join for working in the round. To replicate the look of the inspiration hat I used eskimimimakes alternating cast on for ultimate stretch. I started with a slip knot (which I wouldn’t do if I made this again) and joined for working in the round with a 65th stitch passed over the first stitch. This is why my rib rows will start with a purl stitch vs. a knit stitch to match up with the alternating cast on which creates a k1, p1 rib start. Body of the hat: If you did a k1, p1 vs. p1, k1 like me you’ll need to move a purl stitch from the beginning of the round to the end to match up your knit stitches with a knit row in the cuff for a neat transition. Cut tail of yarn and pass it through the remaining stitches. Make pom pom and attach it to the hat. I used the jumbo (4.5”) pom pom maker that you can pick up at most craft/yarn stores or use whatever method you prefer. Also, feel free to play around with rows 10-20 of the body. On my first attempt I only did 6 rows but I found that required me to start reworking the twisted cable pattern before decreasing. 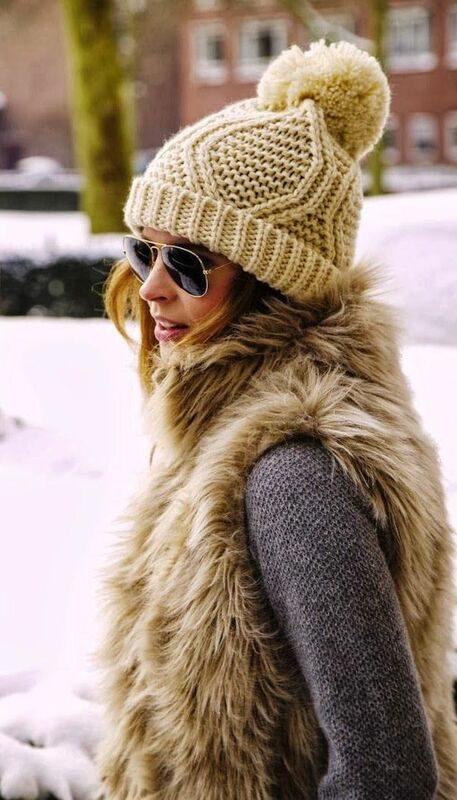 I ended up doing 12 rows of repeat and really like the way it slouches a bit under the weight of the giant pom pom when my DD wears it. A note on this pattern vs the original inspiration. The inspiration hat is actually worked in a garter stitch between the diamonds but I found that I liked the contrast of the reverse stockinette better. Ok, honestly, it took me two hats to realize that I was making it different but let’s just chalk it up to not wanting to copy the original exactly. Our little secret. 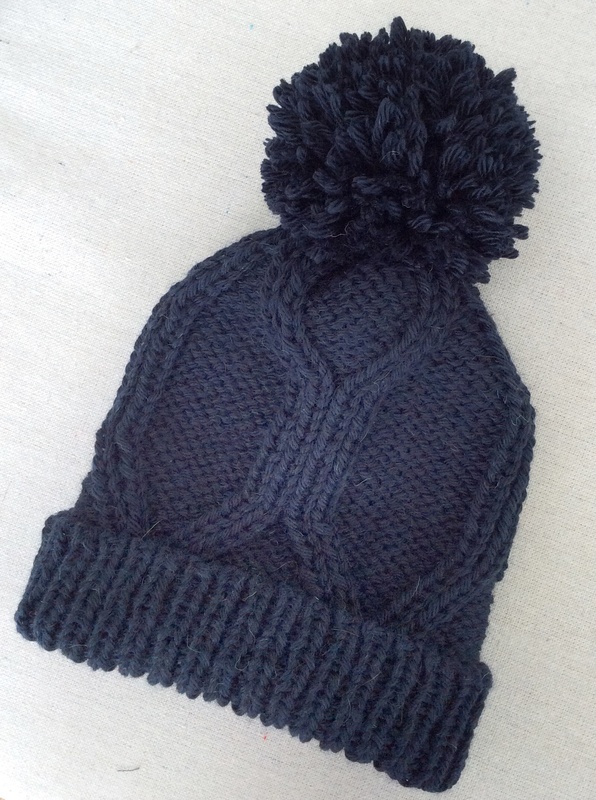 This entry was posted in Knitting and tagged Hat pattern, knit hat, knitting, knitting pattern. Bookmark the permalink.